These conveyors are used for the purpose of emptying and loading of products into the trucks and long vehicles quickly and easily. Easy use and design doesn't require great numbers of workers. 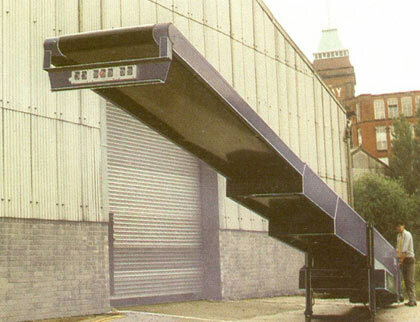 The most distinctive feature of the telescopic conveyors is that its conveyor length can be adjusted while it works. There are two common types as PVC belt conveyors and roll conveyors. The height point part of Conveyor is adjustable with the hydraulic unit.